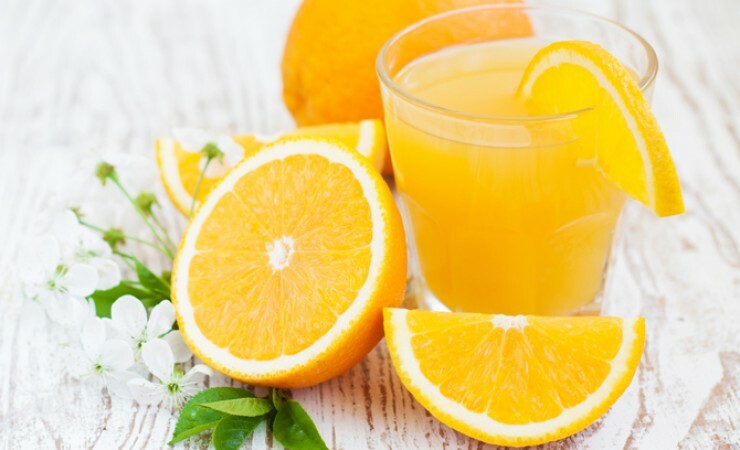 When it comes to feeling better instantly, nothing can compare to sipping on a freshly made juice - be it fruit, vegetable or green based, the rush of pure goodness flooding into your bloodstream is like taking a refreshing shower that makes you feel sparkling clean from the inside out. 1. Avocados – one of nature’s most powerful super-foods an avocado contains good amounts of protein, is rich in B vitamins, high in fibre, but most importantly 84% of it’s fats come from healthy sources of monounsaturated and polyunsaturated fatty acids which has been shown to be beneficial for heart health and fats in general will boost energy levels by slowing the digestion of food and stabilising blood sugar levels. 2. Wholegrains – foods such as brown rice, quinoa, oats and millet provide you with long lasting sustainable energy as they are rich in the vitamin and minerals iron, B vitamins, folate and manganese that aid energy production within the body. 3. Bananas – an excellent source of carbohydrates bananas are a superb source of fuel containing potassium and B6 which are nutrients that help to boost energy levels in your body. Eat one as a snack with almond butter or add a frozen banana to a smoothie. 4. 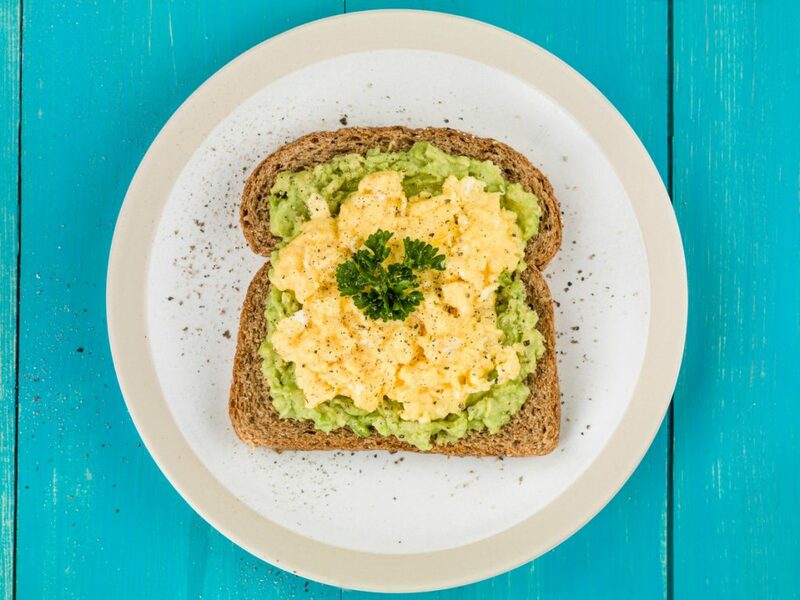 Eggs – Eggs provide energy to fuel your day as they are packed with protein, which can give you a steady and sustained source of energy because it does not cause spikes in blood sugar and insulin levels when it is digested. An amino acid rich in eggs is leucine which can help stimulate the production of energy in the cells and increase the breakdown of fat to produce energy. Eggs are also rich in B vitamins. These vitamins are necessary within the digestive system as they help enzymes perform their role in the processes of breaking down food for energy. 5. Green vegetables – kale, spinach, broccoli and collards are rich in chlorophyll; a power-house antioxidant containing numerous health benefits including aiding to boost the immune system, fight infections and improving liver detoxification. They are high in iron, calcium, magnesium, potassium and vitamins A, C, E and K and also packed with folic acid and fibre. 6. Flaxseeds, chia seeds and salmon – these foods contain high levels of Omega 3 fatty acids which have anti-inflammatory properties that help to reduce inflammation in the body, which is a common cause of fatigue. On the flip side, low levels of omega-3 fatty acids have been linked to increased inflammation in the body and chronic fatigue. The fibre found in ground seeds help to slow digestion, resulting in a steady, sustained release of energy. 7. Maca – maca is rich in quality carbohydrates, which combined with other nutrients make it a great choice for sustained energy. Maca is loaded with bio-available plant protein that is easy for the body to assimilate. It also contains relatively high levels of cellulose and lignan, both of which stimulate intestinal function; plus fibre is a key component to a healthy digestive. A healthy digestive system means that the food we eat is being broken down, absorbed, utilised and wastes excreted properly. Additionally, the maca root is an adaptogen, which may help support and rejuvenate tired adrenal glands eventually resulting in greater energy and the ability to handle stress. 8. Wheatgrass Juice Powder – a nutrient dense “living food” which beneficially contributes in establishing the acid alkali balance of the body attributing to its super alkaline nature. Wheatgrass contains 90 minerals, including excellent levels of calcium, iron, magnesium, potassium and zinc; as well as, 8 essential amino acids with a protein content of 47.4%. Wheatgrass is gluten free as the juice is extracted from the grass not the grain of wheat. Gluten is only found in the seed kernel, the endosperm, and not in the stem and leaves. Furthermore, wheatgrass “juice” powders contain an abundance of nutrients higher than wheatgrass powders because these powders contain dried fibre and juice. There is no nutritional value in fibre other than it being roughage. “Juice powders” contain dried juice from the grass; which means there is no fibre just 100% juice and goodness! Do you require a hand blender or a counter-top blender? Counter-top blenders are made for your kitchen work surface, with a big jug sitting on a base that contains the blender controls. Depending on the size they are perfect for putting all ingredients in the jug and quickly making smoothies, hummus, nut butters, nut milks, blending soups, sauces and pancake batter. If you regularly make smoothies for breakfast or after the gym then a counter-top blender is a perfect choice! Some of these even come in a ‘personal’ size so that you can directly drink from the container provided. Hand blenders, or stick blenders, are little handheld blenders with a pivoting blade at the end of a long shaft. They’re made to mix substances in bowls, containers or pots and work well if you have to puree or churn up a soup, baby food or a sauce. Hand blenders are more compact, can do jobs quickly with very little clean up and take up little space in the kitchen cupboard. What blender functions are you looking for? If you want a blender mainly for making smoothies and frozen drinks, choose one with at least 500 watts of power and an ice-crushing blade. Ice-crushing blenders are available in full-size models or lower-powered personal blenders. For chopping/grinding tasks, you'll need one with a chopping blade and processing functions. 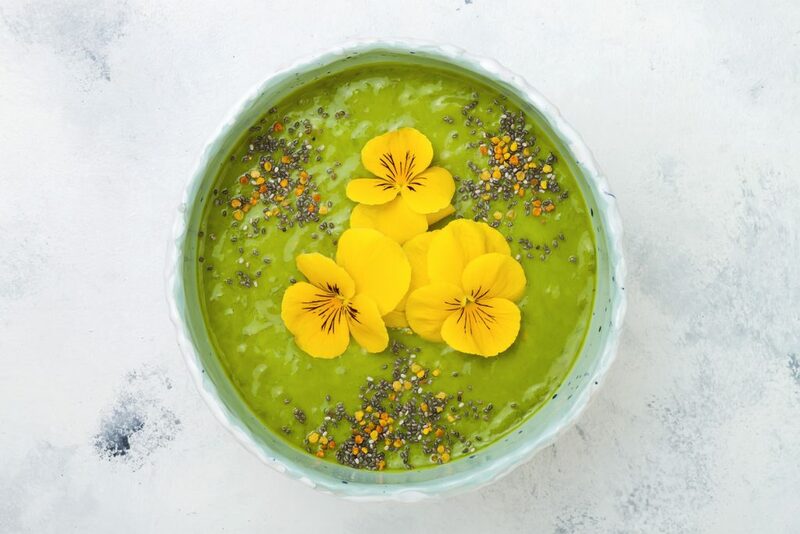 Otherwise, a standard blender will usually be adequate for most blending, pureeing, stirring and mixing tasks, such as making baby food or creaming soups. This is an obvious question to consider, but it’s easy to get carried away. It’s best to set a realistic budget from the beginning based on the type of blender that suits your needs and then research different brands and models. Prices will vary! What size of blender do you require? If you think a counter-top blender is best for your needs. Now you need to think about what size is best. Are you going to be using the blender for 1 or 2 servings or food for the whole family? I personally have had the Nutri-Bullet for years (bought when I was single) and now I have the Tribest Dynapro. (I can blend up smoothies and pancake batters for the whole family in the Dynapro!) I still use both blenders because both suit my needs for me and my family. The power range of the blender’s motor? Typically blenders with higher wattage can easily turn bigger pieces such as fruits and vegetables into liquid on their own. Blenders that have lower wattage need liquids such as water or milk to be poured into the container to help the food pieces to move around in the blender and later to be emulsified. High-powered blenders can even crush ice without any damage to the blender itself. What materials are used to make the containers? The containers are usually made of glass or plastic. Glass containers are heavier but are more stable when compared to plastic. The downside of glass containers is that it makes them heavier to pour out substances from. Plastic containers are often more prone to scratches and they tend to absorb the aroma of the pulverized food. These days the makers of different blenders aim at making the plastic containers BPA free and dishwasher safe – these are two aspects to look out for. A raw food diet is about eating all unprocessed and mostly or completely uncooked (raw) foods so you get all the nutrients without overcooking therefore depleting the nutrients, as well as, avoiding additives. A food is considered raw if it has never been heated over 104–118°F (40–48°C). It should also not be refined, pasteurized, treated with pesticides or otherwise processed in any way. The raw food diet allows several alternative preparation methods instead, such as juicing, blending, dehydrating, soaking and sprouting. Soaking and sprouts of beans, lentils and lengumes is a must as these foods cannot be eaten raw due to the raw bean containing toxins. 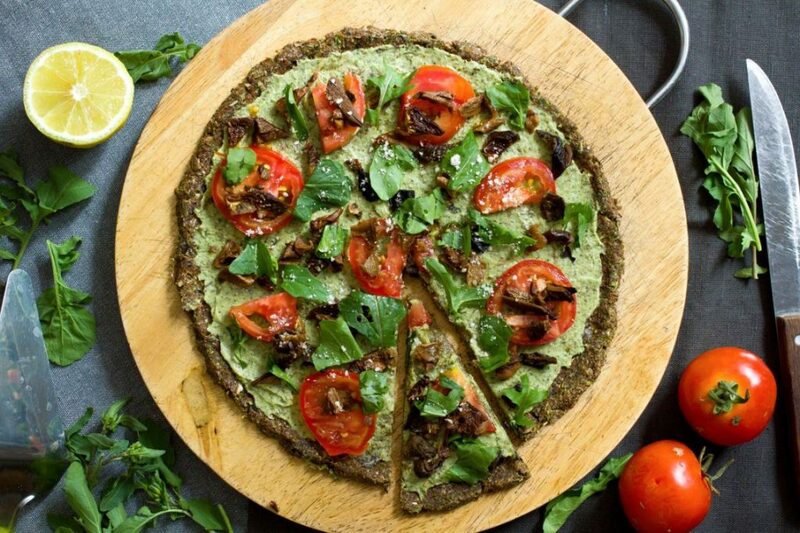 Similar to veganism, the raw food diet is usually plant-based, being made up mostly of fruits, vegetables, nuts and seeds, and sprouted grains, beans and legumes. Sprouted rye bread is a great alternative to home made or store bought cooked breads. While most raw food diets are completely plant-based, some people also consume raw eggs and dairy. Less commonly, raw fish and meat may be included as well. Supporters of the diet often claim that raw food will give you all the nutrients you need, so taking supplements is commonly discouraged when following a raw food diet. However, it is advised to supplement with vitamin B12 as this nutrient is more abundant in meat based foods rather than vegetarian foods. Vitamin D can also be considered if you don’t get enough sunshine. We need enzymes for every bodily function; from breathing to walking to digesting food. Our bodies produce and store their own enzymes, but we also rely on the enzymes we get from raw or ‘living’ foods we eat. Applying heat (specifically above 48C) denatures some of the natural enzymes in food, so the body overworks itself by having to produce more of its own enzymes, exhausting its energy. Also, if you cook your food above 57C, it destroys heat-sensitive water soluble nutrients like Vitamin C and B vitamins – for example, tomatoes lose about 10% of their vitamin C content when cooked for just a few minutes. On the contrary though, cooking actually increases the availability of other nutrients and antioxidants, such as lycopene and beta-carotene. Cooking tomatoes releases the naturally occurring lycopene which is a powerful antioxidant known to reduce the risk of prostate cancer, stroke and osteoporosis, as well as, boosts the immune system and control cholesterol levels. Overall, the health benefits one may experience by eating a mostly raw food diet includes weight loss, improved vitality, increased energy, improvement to chronic diseases, improved overall health and a reduced impact on the environment. If you are thinking of following a completely raw food diet or just want to increase the raw foods in your existing diet, here is a quick go to list. Summer is approaching; fresh fruits and vegetables are in season so it's a great time to nourish the body with foods to support your digestive system and liver in a gentle detox! Avocadoes are amazing foods as they packed full of healthy fats, particularly the monounsaturated fat Omega 9, they contain most amino acids and is rich in vital nutrients Vitamin A, folate, choline, magnesium, potassium and calcium. Avocados are also an ideal snack as they help you feel fuller for longer and reduce sugar cravings! Sunflower seeds are loaded with nutrients, antioxidants, and anti-inflammatory compounds. They're a good source of protein, fibre, essential fatty acids, calcium, iron, zinc, magnesium, potassium, manganese, selenium, as well as, vitamin E and B’s. All nutrients needed to support the liver and aid detoxification. The deep red colour of pomegranate seeds are due to the presence of Anthocyanin’s, a potent antioxidant that protects our body from DNA damage, inflammation, heart and diabetes. As well as boosting the immune system, pomegranate helps in intestinal cleansing and has detox benefits. Pears contain special phytonutrients, including anti-inflammatory flavonoids and powerful antioxidant polyphenols. A low sugar fruit, high in fibre to help ease constipation and provides high amounts of vitamin C, vitamin K and boron. A powerhouse leafy green often underestimated, but packed full of nutrients. Romaine lettuce contains more vitamin C than carrots, rich in B vitamins, vitamin K, essential fatty acids Omega 3, calcium and protein. This not so dark leafy green is also rich in minerals magnesium, manganese, potassium, selenium and zinc. A nice leafy green to be added in a smoothie or juice instead of kale as this lettuce has a delicate flavour that is easily masked by fruit. Lemons are wonderful a stimulant to the liver, stimulate bile production and help cleanse the kidneys. Warm water with a slice of lemon and fresh ginger in the morning is a prefect tea for a detox cleanse. Two herbs that have been used for centuries to aid digestion and cleanse the liver. Garlic acts as an antimicrobial in getting rid of harmful bacteria from the body while ginger helps in the detoxification process and soothing digestion, especially reducing the feeling of bloating and indigestion. Full of hundreds of beneficial compounds called curcuminoids and tumerones; turmeric helps to treat digestion and liver disorders. 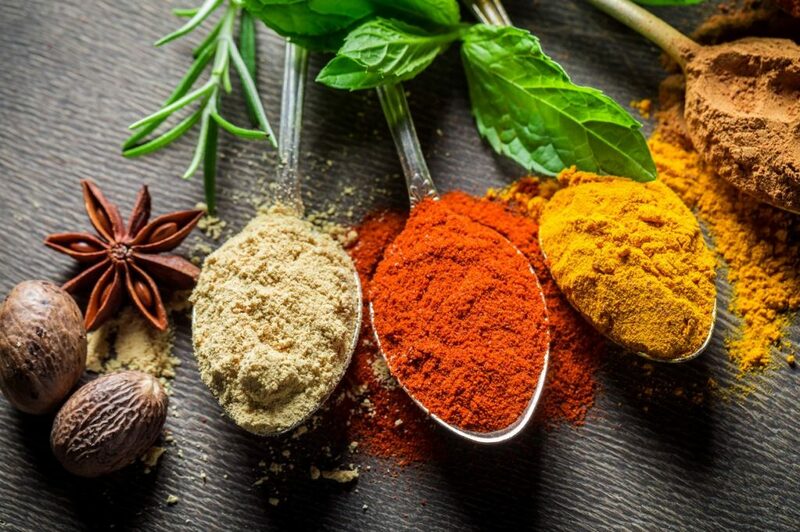 When we consume turmeric, it supports the liver process that helps to detox the blood, reduce inflammation, and prevent internal blood clotting. A negative calorie food as it takes the body more calories to digest it than the calories it contains, is high in fibre, a natural diuretic and 95% water. Celery is a perfect food for weight loss and cleansing. Combine it with cucumber, pear, mint and lemon for a refreshing detox smoothie. With it’s high water content aiding the urinary system cucumbers help flush toxins from the body. Low in calorie and alkaline make this vegetable a must have in salads and smoothies. One of the best ways to feel strong and healthy is to eat whole foods that nurture your body from the inside out. Eating a rainbow of colours (think red, green, yellow, purple) provides a wide range of nutrients, vitamins, minerals and antioxidants that will nourish your body to boost energy and vitality. Green vegetables – kale, spinach and collards are rich in chlorophyll; a power-house antioxidant containing numerous health benefits including aiding to boost the immune system, fight infections and improving liver detoxification. Berries are an excellent source of Vitamin C and insoluble fibre, they are powerhouses because of their phytonutrient compounds called anthocyanins, which reduce free radicals in the body shown to accelerate ageing. Blueberries and cranberries may help prevent urinary tract infections, improve vitality and promote healthy ageing. Maca is rich in quality carbohydrates, which combined with other nutrients make it a great choice for sustained energy. Maca is loaded with bio-available plant protein that is easy for the body to assimilate. It also contains relatively high levels of cellulose and lignan, both of which stimulate intestinal function. Fibre is a key component to a healthy digestive. Additionally, the maca root is an adaptogen, which may help support and rejuvenate tired adrenal glands eventually resulting in greater energy and the ability to handle stress. It’s rich in a vast array of vitamins, minerals and antioxidants so it’s like taking a multi-vitamin. Spirulina is a food so your body recognises the nutrients, which means we absorb it so much better than a multi-vitamin tablet. Spirulina is amazing for skin health, energy support and reducing sugar cravings due to the phenylalanine content. Wheatgrass and Barley grass are similar nutrient dense “living foods” which beneficially contributes in establishing the acid alkali balance of the body attributing to its super alkaline nature. They contain 90 minerals, including excellent levels of calcium, iron, magnesium, potassium and zinc; 8 essential amino acids with a protein content of 47.4% in wheatgrass and 45% in barleygrass. Grasses and algaes both have numerous benefits including being antibacterial, antiviral, alkalising and detoxifying properties, nourishes the brain & nervous system, improves the body’s ability to heal wounds, promotes the growth of good bacteria and alleviates nutritional deficiencies.